Exit the A14 at J26, head towards St Ives. At the first roundabout (VW garage on the right), take the first exit, marked "The Hemingfords". Continue past the windmill, school and village shop. The road splits just after the village shop, take the right hand fork and continue straight towards the church. Opposite the first left hand turn - you will see a large pair of iron gates these lead to The Lodge & Hemingford Grey House. Exit the A14 a mile after junction 24, take the second left directly off the A14 signposted to Hemingford Grey (Goretree Road). Continue through the village into Braggs Lane at the T-junction go straight over into Church Lane, at the T junction you will see a pair of large iron gates in-front of you these lead to The Lodge & Hemingford Grey House. 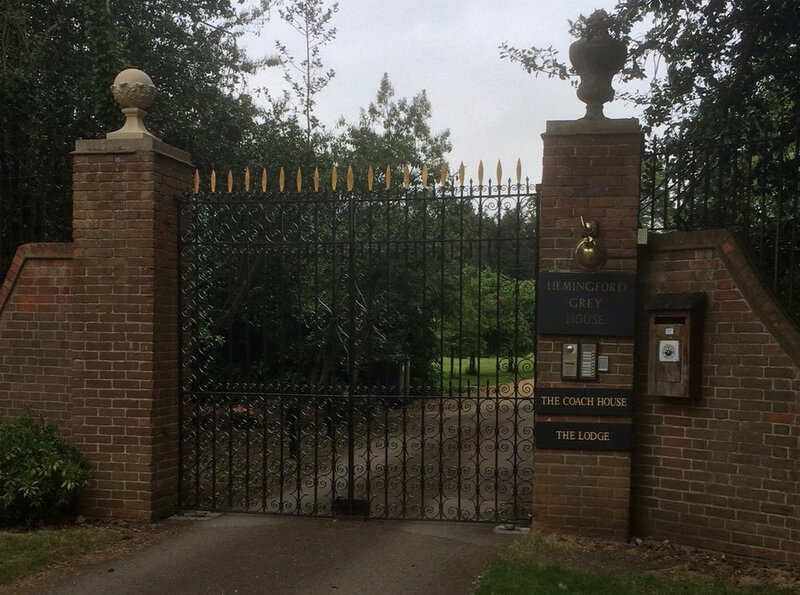 If the gates are not open - on the right hand pillar you will see a bank of buttons, please press the button marked 'The Lodge' and we will open the gates for you please follow the signs to the car park and the lodge.